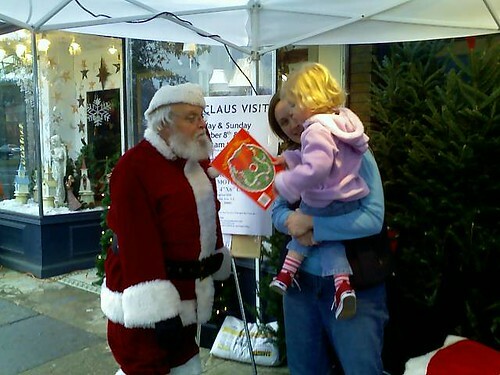 MJ met Santa outside Frager's Hardware. It was a surprise, so she wasn't prepped at all. She sat down with him though and immediately started telling him everything that came to mind. The first thing out of her mouth? "I like horses."